Website under maintenance please bear with us. RTÉ Reflecting the Rising. Irish Great War Society also been asked to take part in a photo call on Wednesday 9th March for the launch of Dublin: One City, One Book. The photo call will be around St. Stephen's Green and there will then be speeches in the Mansion House. Big event on Easter Monday which is being organised by RTÉ to commemorate the Rising. Dublin: One City One Book and Dublin City Libraries are taking part in the event, they will have two mobile libraries there and will be handing out memorabilia from 1916 and showing photographs on laptops on the mobile buses. Lia Mills the author of Fallen will also be there along with a few historians and The Dublin Brigade Irish Volunteers. 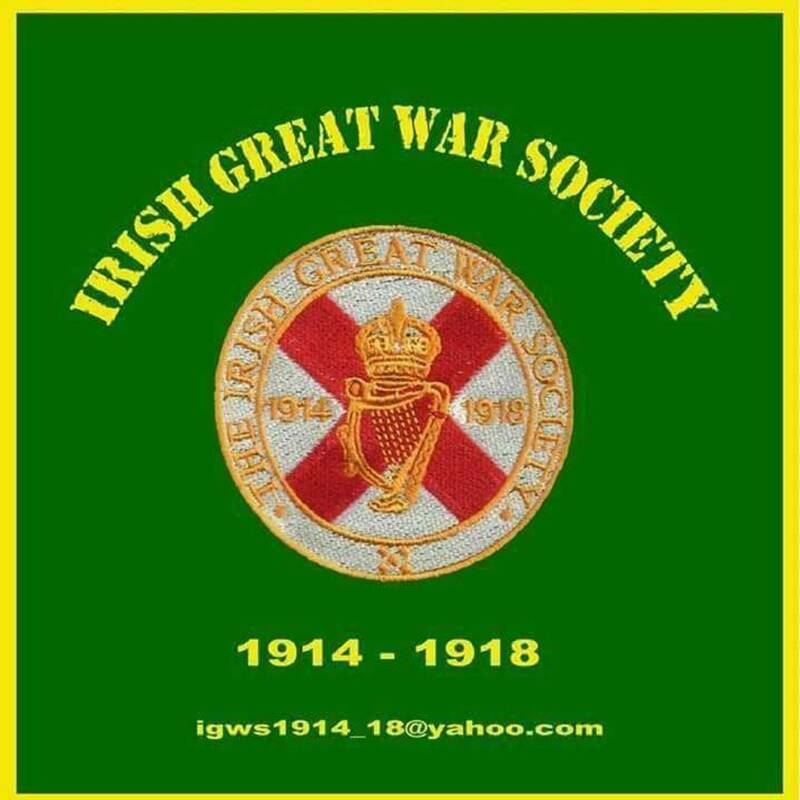 We the Irish Great War Society have been asked to be involved in the event. Saturday 14th and Sunday 15th May: This annual show will be held again at the Curragh race course. This year’s event will be on both days. Sunday 29th May: The OPW are for a 3rd year running are holding an event at the National War Memorial Gardens in Island Bridge to remember all Irish men and women of the Great War. June 25/26: The Irish Military Vehicles Group have invited us to attend this is a two day show. Aug 6/9: This year's charity event will raise funds for the 'Penny Dinners' society.